I've identified an issue that probably caused this. It'll be fixed within the next few days. I just spot-checked five of the breeds not unlocked for you in the market, and none of them have the egg sprite unlocked in the encyclopedia. You must have the egg sprite unlocked and visible in the encyclopedia, not just have seen a single egg. Thanks for looking but as of yesterday they were unlocked in the encyclopedia and the market so I just spent the last 30 mins reunlocking as many as I could which was about 20-25 different species that were unlocked before. I'm not to bothered by it, just that something changed. Edit: As an example Last week I requested views in the Encyclopedia help page. I got 2 views and unlocked the purple Dino. This evening I viewed another purple dino and I have raised one myself. It now shows only 1 purple dino egg viewed when no matter what it should be at least 3 in the last week alone. Not that it really matters because by the time I get enough shards to buy a purple dino I'll have unlocked them again I just found it odd. saarkin, the same thing happened to me. Last week I'd unlocked everything in my encyclopedia except for the green and purple dinos (I own a Green but got him pre-2014 so it doesn't count that I saw his egg and Hatchling), and now all the ones I had unlocked are all locked again and unpurchaseable in the Market. I have most of these dragons and have viewed them at every stage, so they shouldn't have been locked to begin with, but they definitely shouldn't have relocked. I don't mind having to seek these out and view them yet again to unlock them again, but if it's going to keep re-locking it seems like a futile effort. The Market idea is great, I just hope this bug gets fixed. I've definitely run into the relocking glitch myself. Managed to get everything in the Market unlocked days after the Market released. I'm not complaining about the ones relocking (don't have egg images or some of the hatchling images) but, of course, it's all the ones I can't even search for in the Trading Hub anyway. Having the Market and Trading Hub completely dependent on encyclopedia unlocks is kind of annoying. I hunted through the hatcheries for hours to get the Market fully unlocked before. 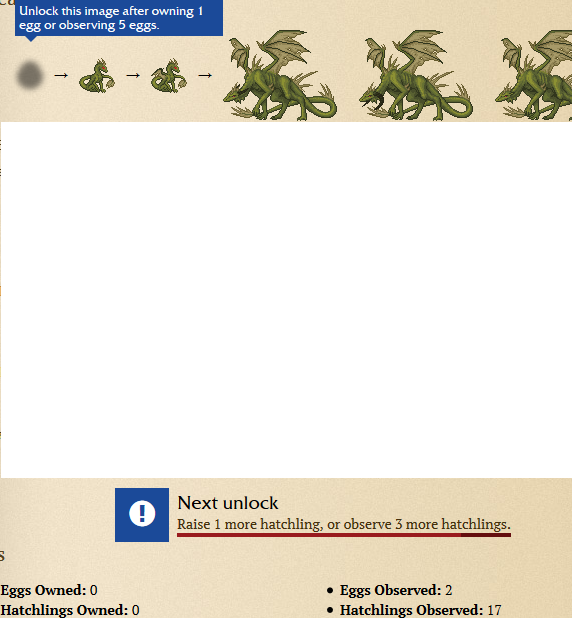 The encyclopedia doesn't even appear to tell you how many you need to view to unlock egg or hatchling images now, which makes unlocking them ten times harder. Makes both rather useless for getting the things I need if I can't even access them in either Market or Trading. Guess I'm back to Cave hunting and praying I can outclick the speed-clickers for dinos, chickens, and Cheeses. Do you have any examples of things that are locked in the market but whose sprites are unlocked in the encyclopedia? As I addressed earlier in this thread, there was a bug where things were available in the market when they shouldn't be which has now been fixed. This means it's 100% expected for the status of things in the market to change. The encyclopedia itself was completely untouched in this process, so nothing there "relocked," but if you never had the egg sprite unlocked to begin with, you may have seen it in the market regardless. The solution is to find and observe eggs of those breeds—you don't need to own a dino to unlock its sprites in the encyclopedia. @TJ09 Currently have both hatchling sprites for Cheese unlocked but it's still one I can't search for in the Market. Same with Chicken. 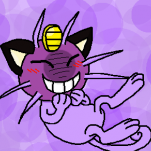 I only have the first stage hatchling sprites unlocked for dinos. No eggs for any of them (dinos, Cheese, or Chicken) though, I'm currently hunting the hatcheries for those. I have every other breed unlocked in both Market and Trading Hub. My encyclopedia is no longer telling me how many I need to view to unlock sprite images anymore. Someone alerted me that this might be a glitch but it's been that way for a while now. Is anyone else having this issue? 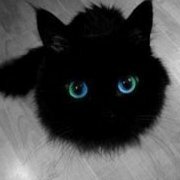 Hover over the greyed image and it will tell you. But for eggs, dinos, al least, are raise 1 or view 5. But you can't search anything in the trading hub unless the egg sprite is unlocked. And if you check in the market - it will say"
Mousing over or clicking the grayed images gives no text for how many owned or viewed is needed to unlock it. Annoying but since I now know 5 in the supposed minimum for view unlock, I'll just have to be persistent and hunt down the ones I'm missing. Thanks for the help though. I'll keep hunting for eggs and hatchlings in the hatcheries and Encyclopedia Helpers for those unlocks. I do mean on the actual page, not in the "index" - but yes, some if you have little enough unlocked, they don't show up. Yes, I mean in the actual page. I don't think the index does anything but show you all the dragons in the game, if you've unlocked enough to display the dragon's image in the index. @FuzzbucketThe encyclopedia does not show how many you have left. The message is always the same. It would be nice if otherwise. Winters I have never observed/owned an egg. and Negecteds I've seen 2. same message. But it is always observe 5 or own one. It shows exactly that. Below the images for the winter, it says "Eggs observed - 0". You have to view a total of 5 eggs. That's what the hover tells you. The text below tells you how many you have observed - no winter eggs; 2 neglected eggs. 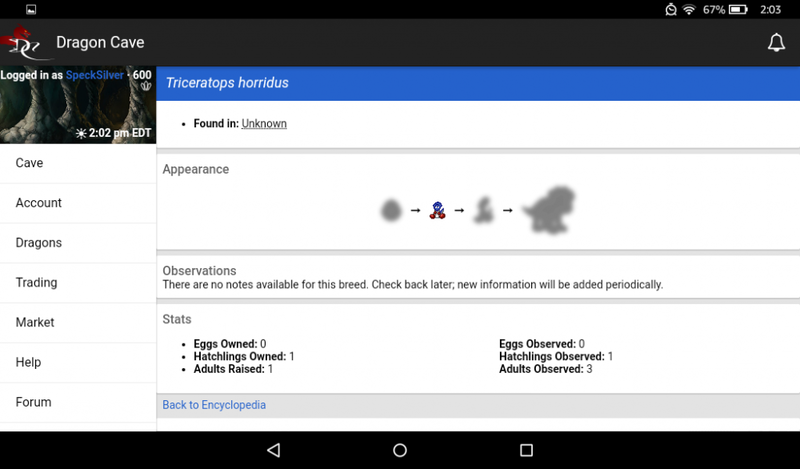 Basically, the qualifications to get access has changed, and you have unlock the egg sprite in the encyclopedia. 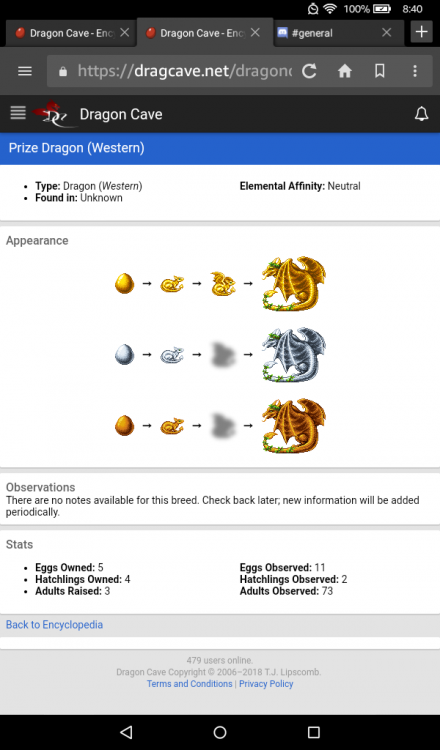 To do that you must have either caught 1 egg of the dragon breed OR observed (aka clicked on) 5 different eggs of the dragon breed. This being said, I still don't particularly like this method of getting to the Trading Hut and Market, but now, I have access to both the Hub search and Market eggs rather than just the Market eggs...But only after scouring the Trading Hub and fansites for eggs. But Now I can see some Unbreedables (like the Green dinos above and papers) in the Hub now. Can you post a screenshot of what your encyclopedia is showing? Is it showing you've observed any eggs at all, or is it simply not registering that you've observed any? How exactly are you observing the eggs? Are you actually clicking each one? Sometimes clicking straight to the view page doesn't 'register' it, but if you go to it's lineage page and click from there it should. And how are you managing to see so many dino eggs ? I had two to unlock, and it took ages. You do know it has to be a different one each time ? Also you do need to look at the encyclopaedia page to see how many it thinks you have seen - use the main index page to get to that. 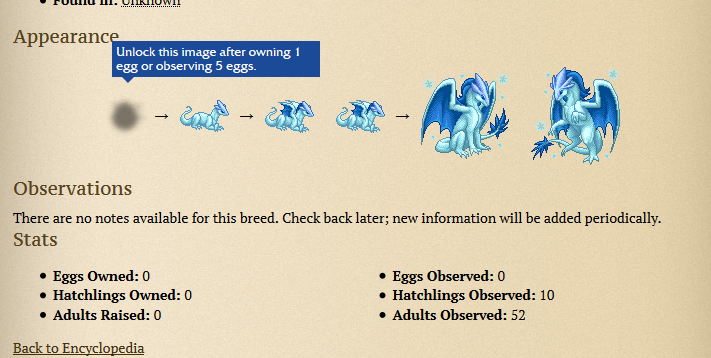 The egg will not show a breed name until you have seen enough EGGS, IIRC.. Sorry i dont have anyway to screenshot and upload. What device are you using? Someone can probably tell you how to screenshot even if it's a phone. 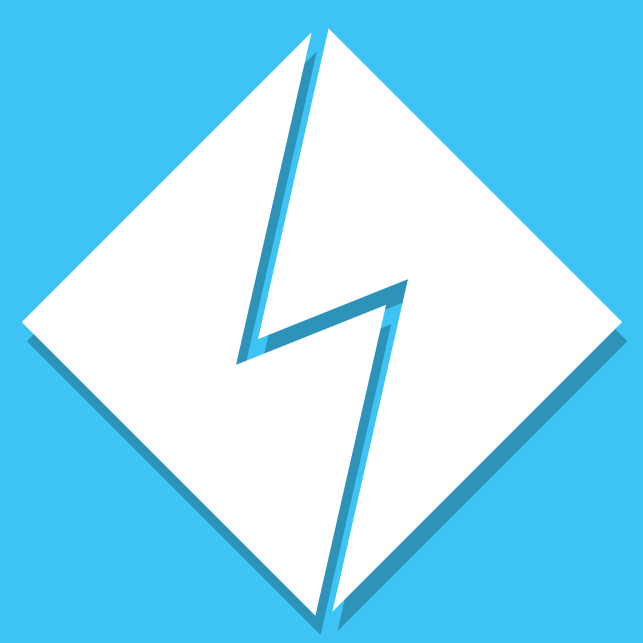 Uploading isn't an issue, you should be able to just paste it into the forum post editor these days. Yes i realize those arent dinos! They say adult raised 1, so it sees them the stages were unlocked but then the eggs werent so i spent hours tracking down yellow and purple ones and actually clicking on the eggs to view them and it didnt unlock them. I was exhausted . When i came back i saw the response about clicking through to lineage then clicking back to view from there. so i did last night actually typing in to get to lineage page, clicking back to view pages and it actually did not even raise thecount went i went back to encyclopedia to check to see if it at least acknowledged what i was doing but it hadnt changed. I went back this morning the number of views hasnt changed. so now i cant even look them up i n the market i had to hunt through viewers but most trades are not putting eggs in viewers!! i hope this helps? Cause im just ready to just give up its not like i was actively looking for one to trade to get i actually was trying to look up a trade to view the eggs. So much for that idea. I come here to get away from frustration not add to it.